The collaboration between Hublot and visual artist Richard Orlinski gets a new, exciting chapter with the introduction of the Classic Fusion Tourbillon 5-day Power Reserve Orlinski. This is quite a long name but does explain almost everything that this watch is. Almost everything, because it leaves out the fact that the manual wind movement in this watch is extensively skeletonized. This further enhances it looks, as it extends the signature style of Orlinski deeper into the watch. 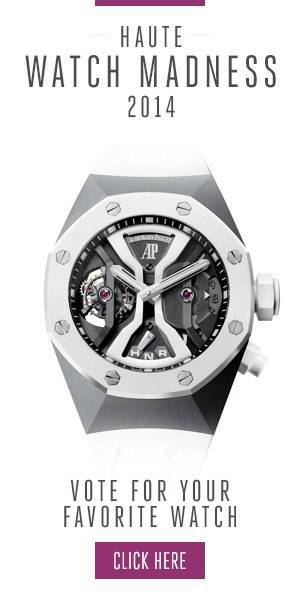 Hublot fitted the timepiece with an open worked mainspring barrel, which is visible at twelve o’clock and provides the movement with a generous five-day power reserve. This is indicated by a small hand at nine o’clock, while the tourbillon placed on the traditional six o’clock position further confirms the Classic Fusion Tourbillon 5-day Power Reserve Orlinski as a true Haute Horlogerie piece. While this watch is essentially a piece of art, its functionality doesn’t suffer because of it. As Hublot often does so well, the bold hands are easy to read yet do not clash with the design of the movement and the case, but rather complement it. The same can be said of the hour marker,s which seem to float above the caliber, adding another layer of depth to this creation. The case has the typical Orlinski angles and planes that give it a distinctive look, without taking away from the fact that it is still very recognizable as a Hublot. The brand will make three limited editions of the Classic Fusion Tourbillon 5-day Power Reserve Orlinski, all consisting out of thirty pieces. Each of them has a distinctive character due to the materials they are crafted from. The King Gold version looks precious, also because Hublot integrated the gold color on the movement itself. The Black Magic, whose case is made from micro-blasted black ceramic, is more of a stealth piece, while the one crafted from polished sapphire crystal embodies the true skeleton. With the Classic Fusion Tourbillon 5-day Power Reserve Orlinski Hublot once more confirms the synergy that can be achieved when both partners inject their own distinct style, yet with great respect to one another.